When it comes to garage door installations, All Right Garage Doors believe homeowners have every right to know the process of the installation for their home! We do not recommend making this a DIY project because there are accompanying hazards. For example, torsion spring systems are under extreme tension and are dangerous to alter if the person is unfamiliar with how to properly handle the springs. Additionally, if the garage is not properly installed, this could cause dangerous situations when opening and closing the garage. 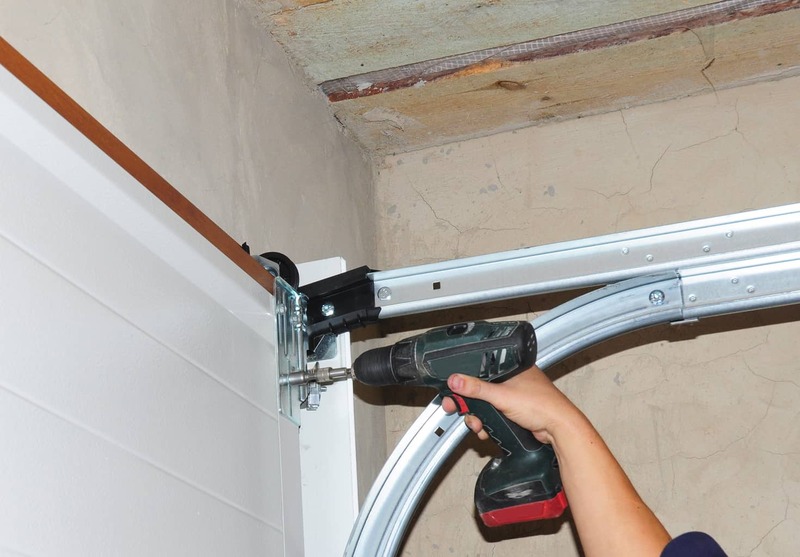 Different types of garage door styles and materials will change the process of installing a garage door, but we will be discussing the basic concepts for steel sectional garage door installations. Before installing a new garage door and removing the old one, we will measure the height and width of the garage door as well as the backroom (length of the garage) and the headroom (from the top of the garage opening to the ceiling). The ideal amount of backroom space is the door height plus 18 inches, and the ideal headroom space is 10-12 inches. The space is needed for installation as well as for the garage door when it is open. Once we have the measurements, we will work with you to pick out your new garage door for installation. If your backroom or headspace isn’t within the ideal measurements, there are special garage doors you can choose from. Check out our recent blog for a guide to picking a new garage. After we ensure the old garage door completely closed, we will then disconnect it from the trolley/opener. The next step is to remove the garage door springs. After removing the springs, the door panels need to be removed one at a time, starting from the top. We’ll unscrew the hinges on either side of each panel and detach from the track. Then, we will attach rubber weather stripping to a panel, which will be used as the bottom panel. This will ensure that your garage is insulated well and is fully sealed after the doors are installed. After the weather stripping is attached, we will install the brackets on both sides of the bottom panel and insert it into the door frame. The rollers will be placed into the hinges and brackets to keep the panel in place. Using a level, we will ensure the door is perfectly leveled, even if the floor isn’t. This is because if the door isn’t leveled, the garage will not be able to open properly. The weatherstripping will close up any gaps between the door and floor. The next step of the garage door installation is very similar to the previous step. We’ll install the brackets and hinges on the 2nd door panel and insert the section into the door frame above the bottom panel. Then, we’ll insert the rollers to keep the panel in place and then repeat with the remaining door panels. Once all the garage door panels are in place, we tighten the rollers and hinges to the track. The trick is to not to tighten the rollers too tight, as they will need to be able to freely move up and down the track without friction. Afterward, we’ll ensure the vertical track is securely tightened into the wall and then begin installing the upper tracks. We, then, connect the vertical and upper tracks, then attach the track to perforated angle irons to keep the tracks in place. We’ll use a level to ensure the track is even and the door will open at 90 degrees. Depending on the proper accompanying springs and cables, this process will vary. 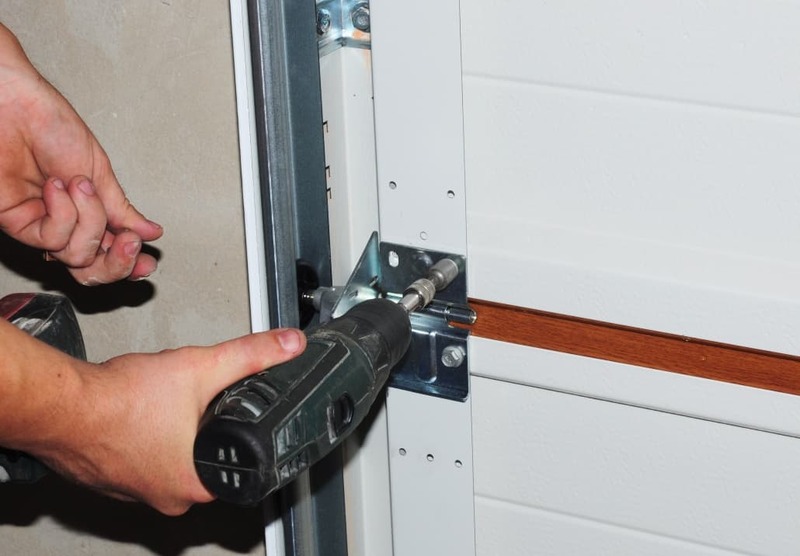 But rest assured, All Right Garage Doors will install the springs and cables properly and ensure your safety. 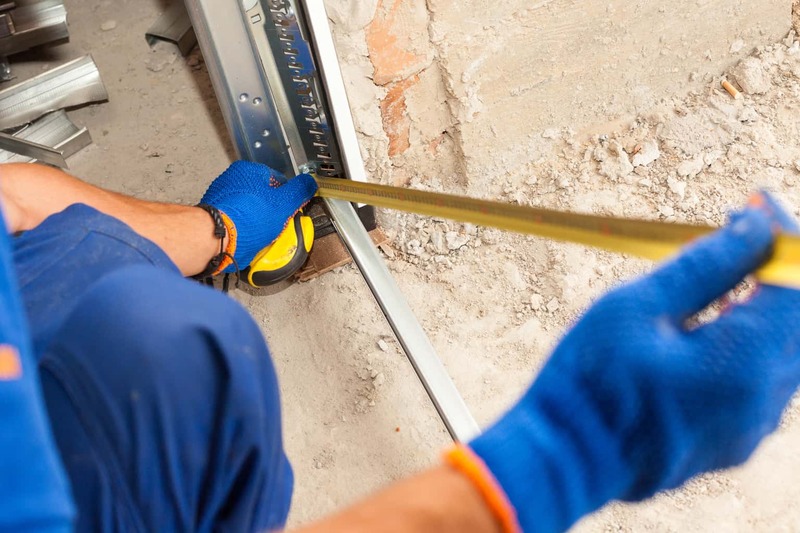 After all the springs, cables, hinges, and brackets are attached, we’ll connect the garage door opener to the new garage door and lubricate the metal parts of the garage door system as necessary and open the garage automatically. If you are looking for professional garage door installation in the Orange County area, All Right Garage Doors offers professional services at a cost-effective price. We proudly serve Irvine and the surrounding Orange County area with the highest quality of work in the industry. For more information about how we can serve your home, visit us at our website or give us a call at (714) 726-2225.